Combining 5 years of online purchase data across 6,000 games with in-game play data from more than 1 million video gamers. Using Kibana, Green Man Gaming can diagnose problems in a couple of clicks versus having to write code of a view in CouchDB. Elasticsearch and Kibana give a real-time feed into the performance of marketing. Green Man Gaming is an online games retailer that offers more than 6,000 games from 400 publishing partners, ranging from industry giants like Bethesda, 2K Games, and Warner Bros, to small, indie developers looking to boost the profiles of their games. Green Man Gaming provides an eCommerce platform offering more than 6,000 computer and console games from 400 publishing partners in 190 territories as well as run a social network for over a million video gamers worldwide. The differences in terms of structure, speed and volume of data between eCommerce transactions and streaming gameplay data made it challenging. Using the Elastic stack, they turned these datasets into improved gameplay, a streamlined purchase process, and more targeted marketing and business development opportunities. The company was started in 2010 with the mission of offering more than just a sale: they had a lofty goal of creating the best gaming experience possible. A big part of this mission revolves around the ability of Green Man Gaming to provide customers the game they want, when they want it. What's the easiest way to make that happen? With data, of course. Keeping a pulse on the thousands of games a day that are purchased on its platform helps the business better understand its customers, but that was just the tip of the iceberg. What happened after they bought the game? How were they playing it? What other games were they playing that they didn't buy from Green Man Gaming? In 2012, the company acquired Playfire, a social networking community that tracks in-game achievements, trophies, and gameplay of millions of gamers. This is exactly what Green Man Gaming needed in order to progress on its mission. However, storing all this new Playfire data added millions of rows to their databases every day. Combined with the volume of games purchased from its online store over the past five years, that presented them with the challenge of combining data on 3.5 million gamers from two unique data sources — each with distinct schemas and associated fields — to extract the insights they needed. Initially, they tried utilizing CouchDB, but found its query ability limited to building MapReduce views, which didn't provide the flexibility needed to run their ad-hoc queries. It also lacked the ability to display results in a visual format that everyone in the company could understand and utilize. Green Man Gaming needed a tool that made this analysis as simple as possible; and more importantly, they needed a platform to give them insights as quickly as possible. That’s when they turned to Elastic. We knew that we had this data. The challenge was to be able to present it to a non-technical user. 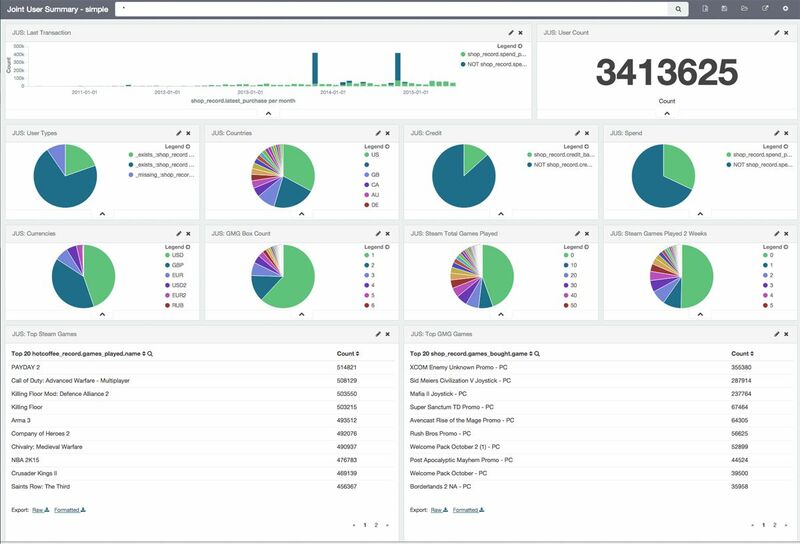 Kibana allowed us to build some cool dashboards pretty quickly, and we got a lot of wows in the office — including from the CEO himself. The Green Man Gaming engineering team first gave Elastic a whirl by indexing orders streaming in from their online store directly into Elasticsearch. From their Kibana-based histogram, they were instantly able to get real-time insight into the orders they were processing: how many were coming from which countries and in what currencies. With this instant insight provided by Kibana, they could finally stop scanning through millions of lines of code to diagnose problems and instead focus energy on developing new products and improving overall end-user experience. After seeing the Kibana dashboards the engineering team created, customer service wanted in. They created a dashboard specifically tailored around a promotion, allowing Green Man Gaming's agents to quickly establish a customer's progress and enabling them to provide a much faster response to the customer's queries. They are planning to index customer data further in Elasticsearch and build dashboards in Kibana that let them easily access and explore a customer's entire purchase and gameplay history, confident that this single view of the customer's activity will improve ticket response times and provide a better experience for the customers. Green Man Gaming is focused on indexing all of its time-series data — from server and web logs to in-game transactions and actual in-game progress and achievements — into Elasticsearch. Green Man Gaming now has insight into the vast amounts of purchase and in-game play data flowing in every day. 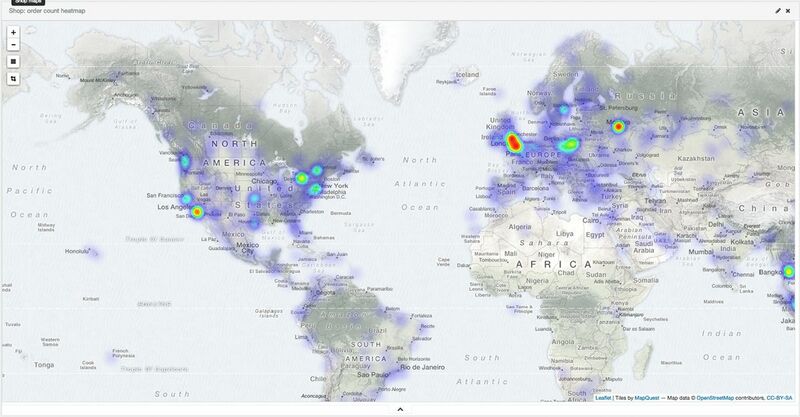 With the help of Kibana's visualizations, they can easily discover correlations across multiple data sources and extract insights — giving them a more detailed understanding of their customer base than ever before and helping identify industry, purchase, and customer trends far quicker than traditional BI tools had given them previously. For example, data collected about their customers may show trends beyond demographics and purchasing patterns and include information such as how consumers play a game (when, average duration, frequency) and what range of titles they are interested in playing, based on their actual portfolio. Armed with these insights, Green Man Gaming's marketing team is now able to create tailored, personalized promotions that target the right customers with the right offer in order to improve their gaming experience. For instance, Green Man Gaming won't market an expensive game to someone that usually stays under a certain price threshold, or encourage a customer to buy more gaming credit if they don't play that often. With Kibana, we're able to detect certain failures with the dashboards we've built. It's much easier to see a weird pattern on a colorful graph than if it was just a bunch of numbers. With this newfound, instant insight into the habits and preferences of their customers, Green Man Gaming is not only streamlining their marketing efforts, but more importantly, they are improving their overall customer experience. From a marketing point of view, the potential is huge. Now that we have the right tools in place, we can be creative in terms of what we do with the data. With all the games offered on the Green Man Gaming platform being sourced from Green Man Gaming's network of publishing partners, the partners are at the center of Green Man Gaming's revenue stream. And consequently, the ability to keep strong relationships with existing partners while continuing to expand that roster is key to Green Man Gaming's long-term success. The main reason publishers partner with Green Man Gaming is to execute co-marketing activities that generate sales and increase awareness. And because Green Man Gaming has access to gameplay data that no other e-commerce platform does, they have a unique edge over their competition. Elastic allows Green Man Gaming to unlock that competitive advantage by providing efficient access to that data, which allows them to put together outbound campaigns that are very relevant and specific to each partner. Promotions that used to take a week to produce — given the need for technical assistance to correctly pull and segment the data — are now completely self-sufficient and take only a few hours. Elasticsearch, combined with support through Elastic's Development Subscription, cut down development time by 3x by giving Green Man Gaming a direct channel to have questions answered and ideas validated. With the guidance of Elastic support, Green Man Gaming was able to expand their cluster from three to five data nodes, deploy Elasticsearch properly on Amazon using the AWS plugin, and configure snapshots. Green Man Gaming used snapshots to backup their indices before cluster upgrades to ensure that in the event of a failure, it wouldn't be necessary to re-index entire datasets from scratch. The Elastic support team also pointed out certain bottlenecks Green Man Gaming had in the way they had designed their indices in terms of number of shards and replicas. Elastic goes across the business because it's saving us time internally to do things, and giving us more opportunity to do things with partners. It's a massive change. Diagnose problems in seconds: Green Man Gaming can now diagnose problems in Kibana in a couple of clicks versus having to write code of a view in CouchDB that would take up to a half hour to write, and, depending on the size of the database, up to a couple of weeks to index. 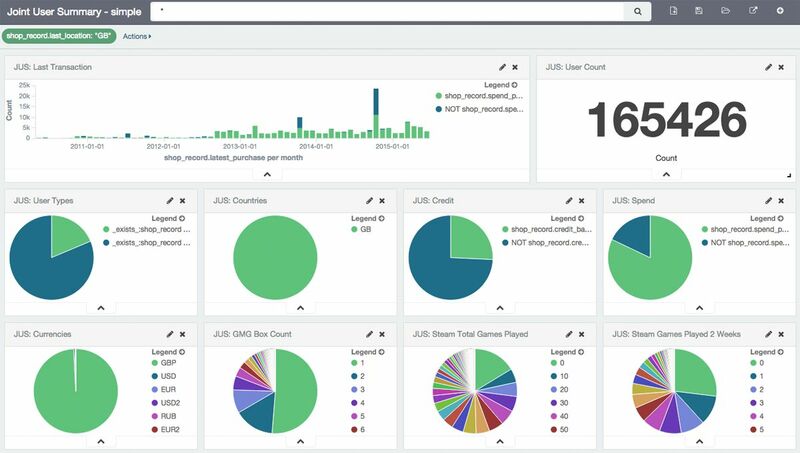 Track marketing campaigns in real time: Elasticsearch and Kibana give Green Man Gaming a real-time feed into the performance of marketing campaigns like giveaways and product vouchers, helping them monitor the success of certain channels and partners as well as create more tailored, specialized campaigns. Work smarter, not harder — and iterate faster: Because Green Man Gaming has access to relevant data in a user-friendly way, it is much easier to identify and act on situations or trends, allowing them to more easily set up campaigns, rectify an issue, or take advantage of a pattern. For example, when the product team is working on a project, they want to know if what they're building is effective as early as possible. Elasticsearch gives them real-time insights that allow them to either shift focus or change their approach as the project is in progress, helping reduce wasted engineering time. Be a thought leader, and they'll come to you: While most publishers only have access to the gameplay data from their own games, Green Man Gaming has access to all the games its customers are playing. Want to know how many people use female characters in the top 10 games? Green Man Gaming can tell you. This strengthens Green Man Gaming's position as a thought leader and strong publishing partner as they are able to provide insights into what a specific publisher's audience does not only in that publisher's games, but also across the video game ecosystem. This has resulted in an increase in co-marketing activity with partners. It's much easier to build effective campaigns now that the data is so readily available. And because these campaigns are based on tangible data, they have become more relevant and personalized, resulting in positive experiences for games and publishers alike.